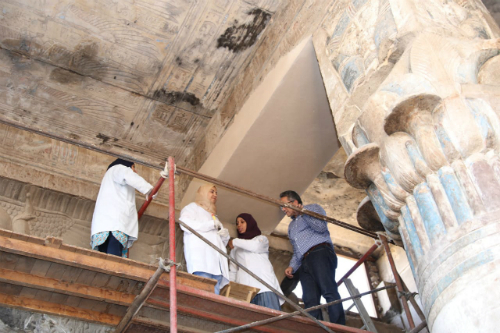 Conservation work at Ipet temple in Karnak is at full swing to meet the deadline for its opening, the ministry of antiquities has said. The temple is located on the southern axis of the Amun Re temple at the Karnak temple complex in Luxor, and has never been opened to the public before. It is scheduled to be opened in 2019. 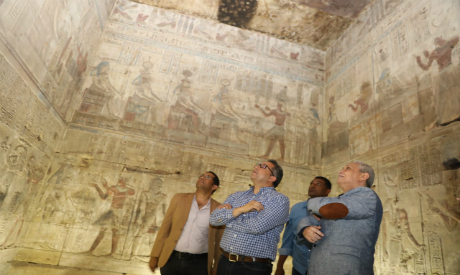 Antiquities Minister Khaled El-Enany toured the temple on Friday to inspect the latest work. 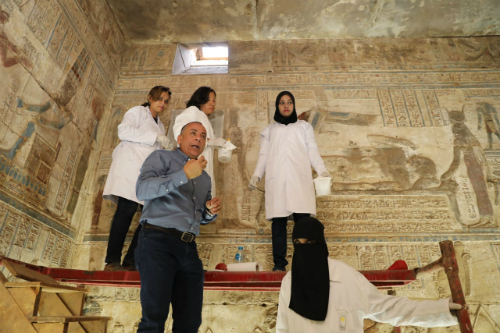 Mostafa Waziri, secretary-general of the Supreme Council of Antiquities, explained that the conservation work included the conservation and archaeological cleaning of the temple’s walls and the consolidation of the colours of its scenes. All bird deposits were removed and wooden ramps were put in place to facilitate the visitors’ route around the temple. The temple is located in the area where Ipet, the goddess of food and protection, was said to have rested before giving birth to her son Osiris. 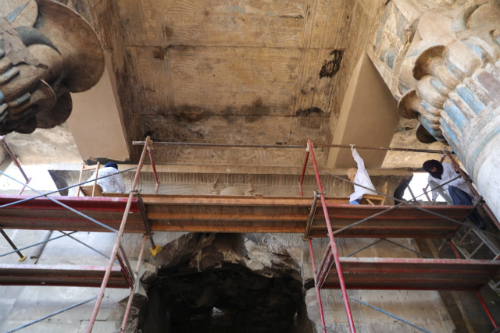 El-Enany also inspected the open courtyard of Ramses II at Luxor temple, to check the conservation work being undertaken to restore the heads of the colossal statues of the king that decorates the temple court. The mission has so far restored and re-installed the heads of three colossi, each weighing up to 250 kilograms.